Hiking is one of the best ways to take a breather and re-align with your inner peace of mind within the beauty of nature. That’s why so many avid hikers flock to Santa Fe and take advantage of the wide variety of outstanding hiking trails. During your next Northern New Mexico getaway, be sure to pack your walking shoes because you definitely won’t want to miss these popular day hikes in the Santa Fe area! Also, you’ll want to download your free copy of our Chimayo Vacation Guide to find even more local hiking trails, activities, attractions, dining, and more. The Atalaya Mountain Trail in Santa Fe is one of the area’s most popular hiking trails, so you can expect to see plenty of other travelers during your own excursion. However, the six-mile journey is ideal for day hikes and includes plenty of scenery to admire along the way such as lovely aspen forests and mountain overlooks. At 3.8-miles long, this looped hiking trail may not take more than a few hours to complete, but it’s well worth it if you’re looking for a leisurely stroll that includes plenty of forest scenery, shade, and wildflowers. It’s a perfectly pleasant hike through the woods that you’ll want to do again and again! The elevation gain during this excursion may be a challenging feat to beginner hikers, but if you’re up for the challenge, the Chamisa Trail in Santa Fe is a great way to get out and explore the natural landscape of Northern New Mexico. The 4.5-mile trek traverses through well-shaded forests, meadows, and mountain streams. The Aspen Vista Trail in Santa Fe is located in the National Forest and stretches 11.6-miles, making it one of the longest adventures on this list. If you’re prepared for a fun-filled day of hiking, this journey will reward you with views of a stunning waterfall, wildflower fields, towering mountains, and more. Consisting of nearly 23-miles of hiking and mountain biking trails, the Dale Ball Trails in Santa Fe, NM allow you to embark on an unforgettable trek through some of the area’s most striking regions. They also offer one of the quickest ways to get from the city of Santa Fe and into the mountains. 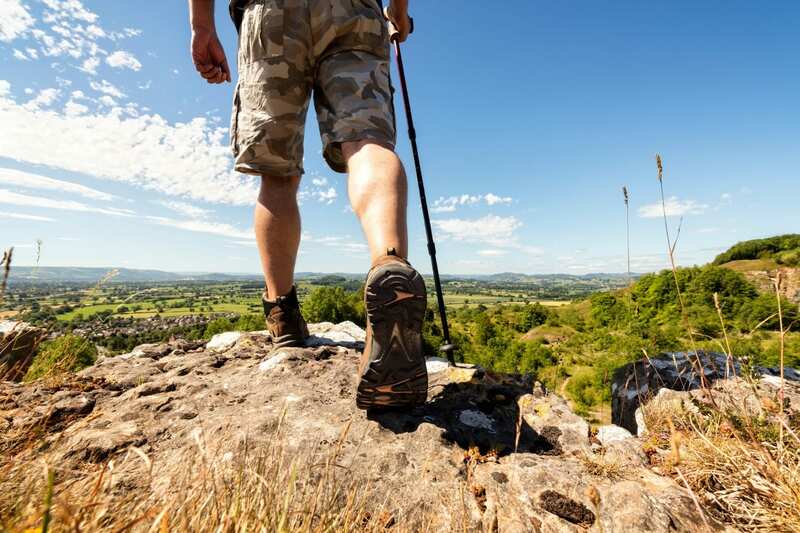 Both beginner hikers and advanced hikers will find their fix on this trail system, but be prepared for some fairly challenging junctions. With over 25-miles of incredible trails to explore, the La Tierra Trails allow its travelers to enjoy wonderful views of the Tesque Valley. You’ll also have the opportunity to enjoy shaded pine forests, gurgling creeks, and many more thrilling experiences. It’s an absolute must! Don’t let the name scare you away! Deception Peak features many gorgeous natural features for you to enjoy, including a lake. Plus, the views from the mountaintops are nearly too beautiful to be real! The 6.1-mile trail is considered to be difficult, so we highly recommend this trail to experienced hikers! Accessible via the Windsor Trail, Santa Fe Baldy offers some of the best opportunities to see local wildlife and immerse yourself in the peaceful Santa Fe wilderness. The views from the top are also breathtaking! The trail is approximately 13.5-miles long, so be sure to pack for the entire day! From day hikes in the Santa Fe area to quick strolls through the wilderness, Northern New Mexico offers a plethora of amazing places that you’ll have to see to believe. We want each and every one of our guests to enjoy this experience for themselves, and that’s why we’re more than happy to offer you our irresistible High Country Hiking Package. 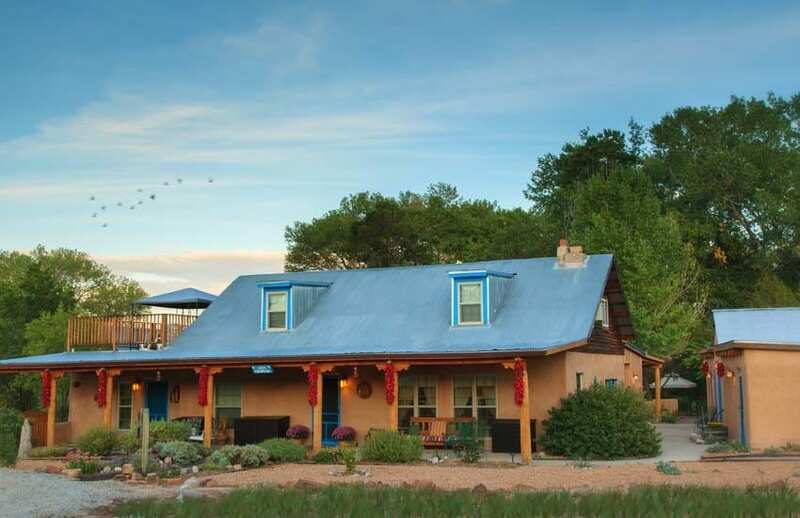 Meaning “hidden house” in Spanish, Casa Escondida is the ideal escape in the New Mexico countryside. Boasting a peaceful and romantic setting just minutes from some of the area’s top attractions, our Southwestern inn provides everything you’ll need for a memorable getaway with your loved ones. Unlike typical hotels, each of our nine guestrooms is appointed with traditional Southwestern decor, spacious living areas, and comfortable queen-sized beds. You’ll also enjoy a delicious hot breakfast served each morning, perfect before heading out for a full day of hiking! After conquering the local trails, we invite you to come back and indulge yourself with an evening of relaxation in the Sun Room. This large accommodation boasts its own private entrance, coved ceilings, brick floors, and a ground-level patio surrounded by a beautiful butterfly and hummingbird garden. It’s perfect for enjoying a glass of wine and reminiscing on all the memories you’ve made in New Mexico. Check our availability and book your next Northern New Mexico escape today!